This page shows my technique for 'Porcupining' and then cubing a mango. 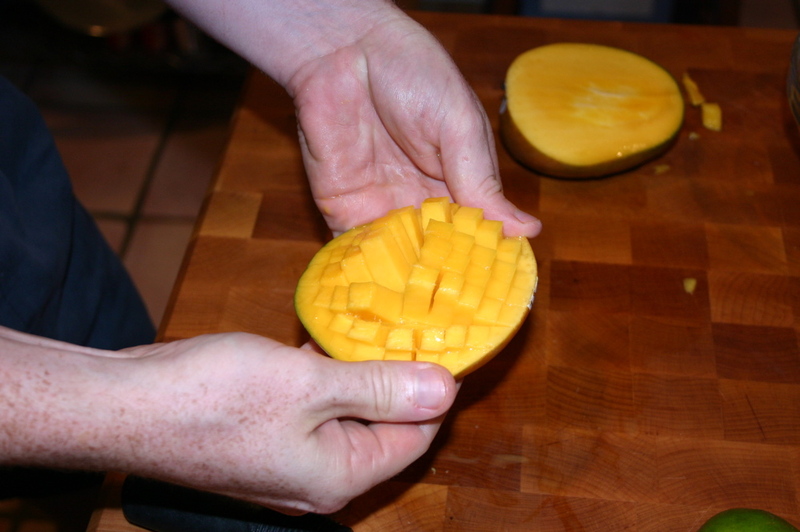 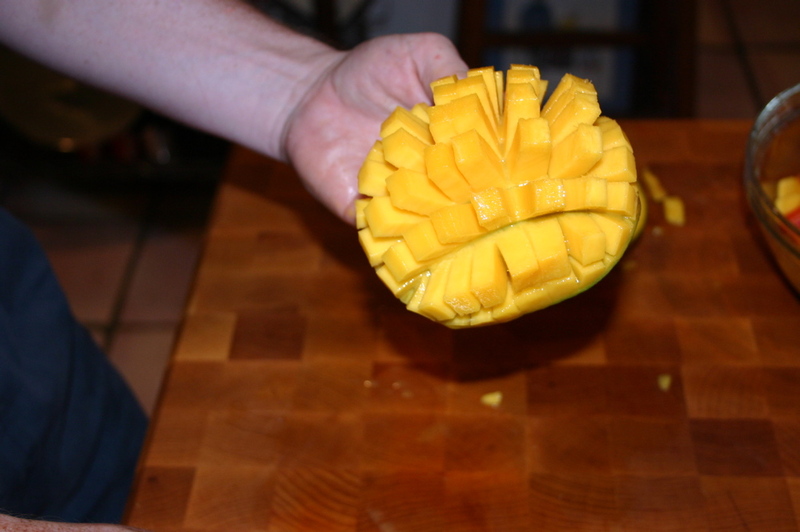 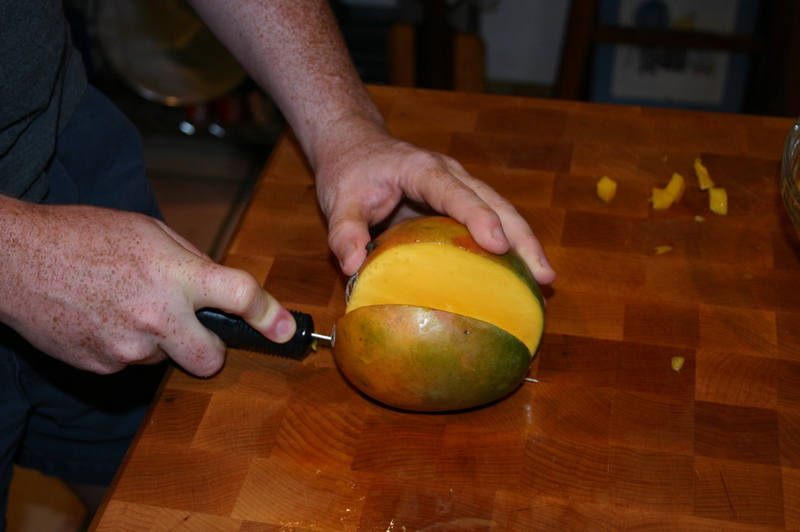 You will need a mango, a cutting-surface, a slightly-serrated knife (serrations are important when cutting mangos!) 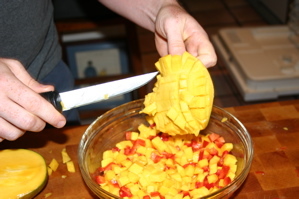 and a strong will to prevent you from shoving the delicious fruit directly into your mouth and forgoing the preparation. 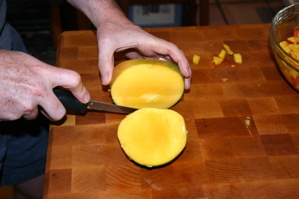 Mangos have a rather flat seed which runs throughout most of the fruit. You can't slice through most of the fruit, so you have to work around it. With each half, start by gently cutting a line down the center. 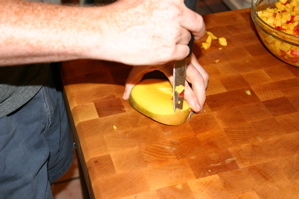 It's important to cut down to the skin, but especially important that you do not cut through the skin. 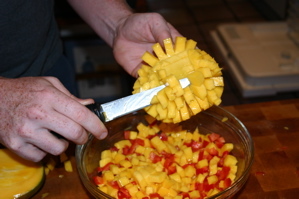 Continue with parallel cuts out to the side. 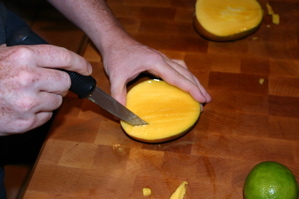 Once you've gotten half the mango scored, a quick flick of the wrist will spin it around; catch it after it's turned 180°, and finish scoring the other half with parallel lines. 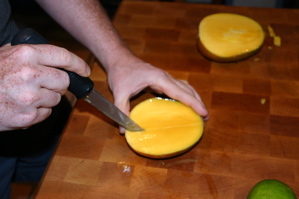 When that's done, flick it around 90° and repeat the same process, making your mango into a nice grid (still held together by the skin). 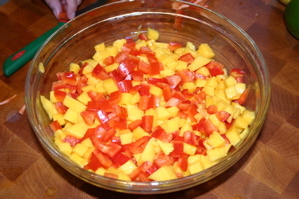 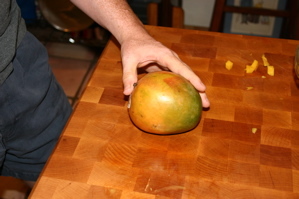 Put down the knife, pick up the mango half, and with two hands push up on the skin underneath to invert the mango. Voila! 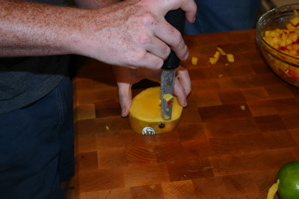 The Porcupine! If it's big chunks your after, the thickness of your slice may be just right; perhaps you can just slide the knife along the skin to free the cubes. As it is, I was cutting small cubes for a Mango salsa, and the tiny grid I made yielded tall columns. 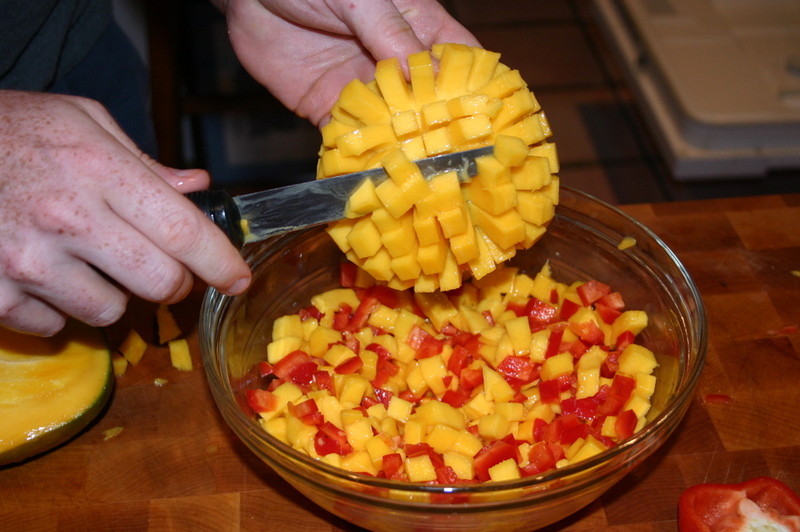 So at this point, slide the knife across a few rows at the right height to make cubes. 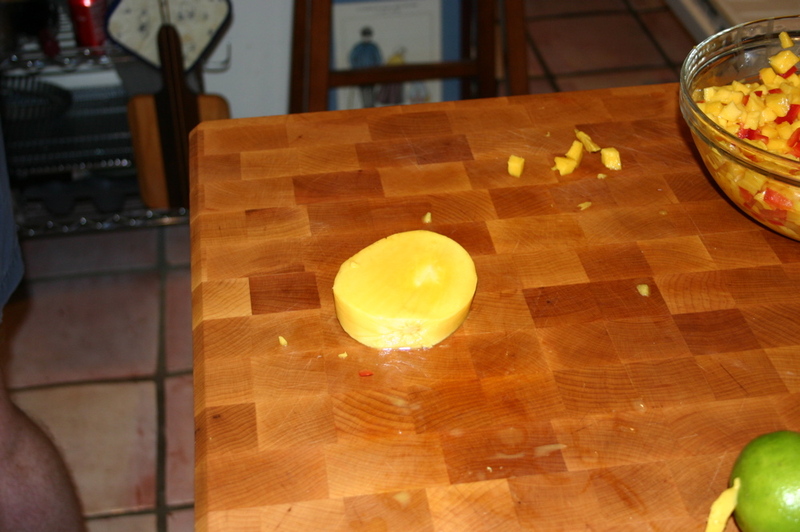 After you finished the first layer, work your way down. 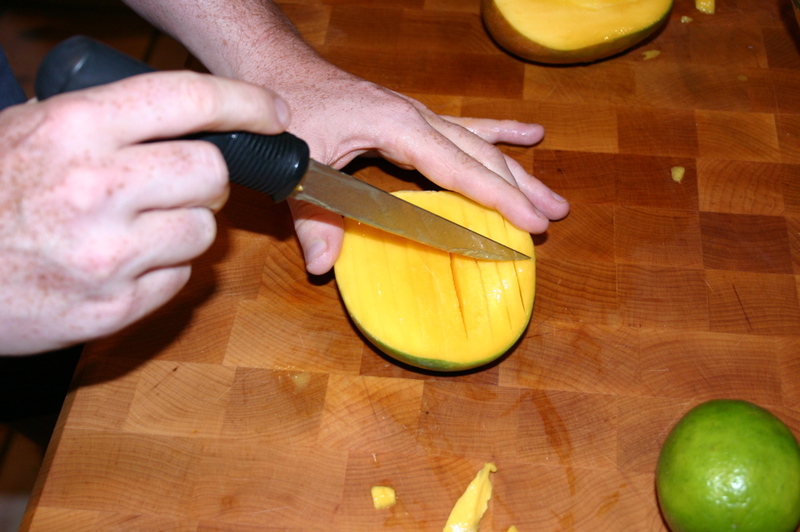 In the end, slide the knife along the skin. 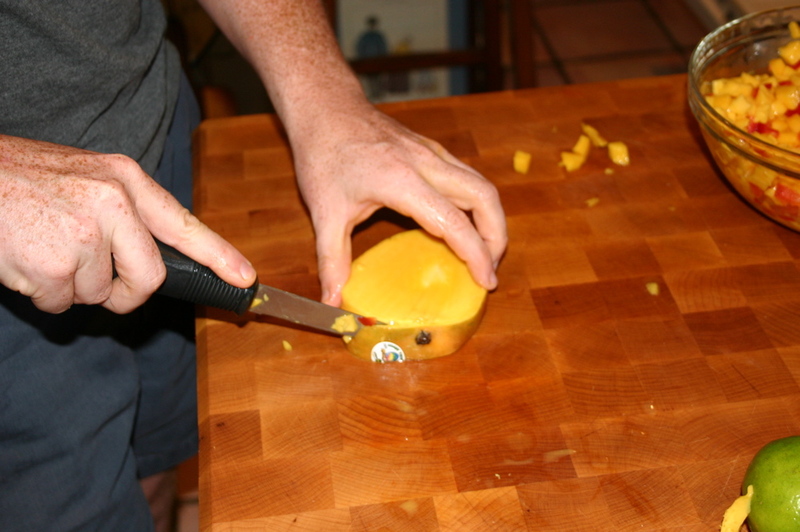 Unless you are amazingly talented, there's still some tasty-but-annoying-to-get-at fruit around the seed. We gotta get at that! Put your knife point through the remainder, at the edge of the skin, right next to the stem. 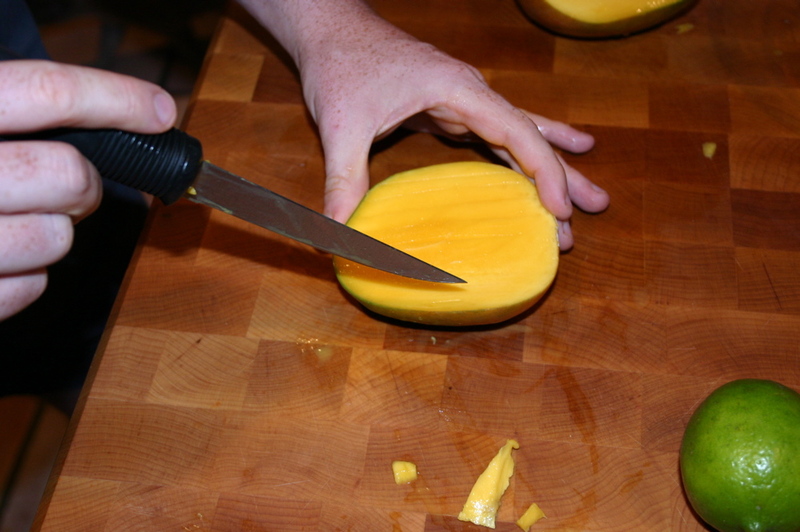 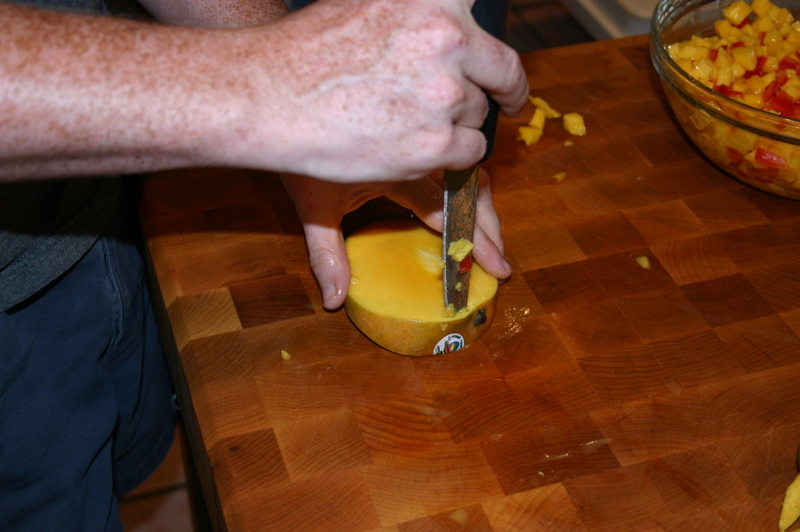 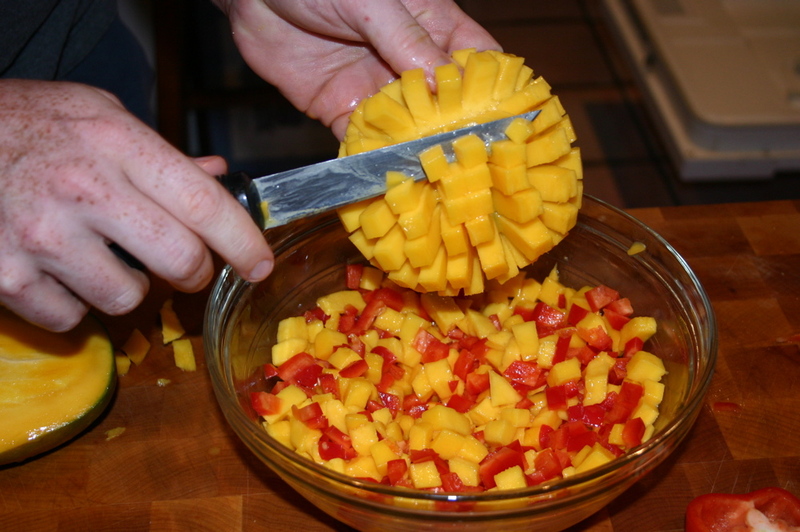 Rotate the mango with your other hand (leaving the knife stuck in place) to easily shave off the belt of skin. 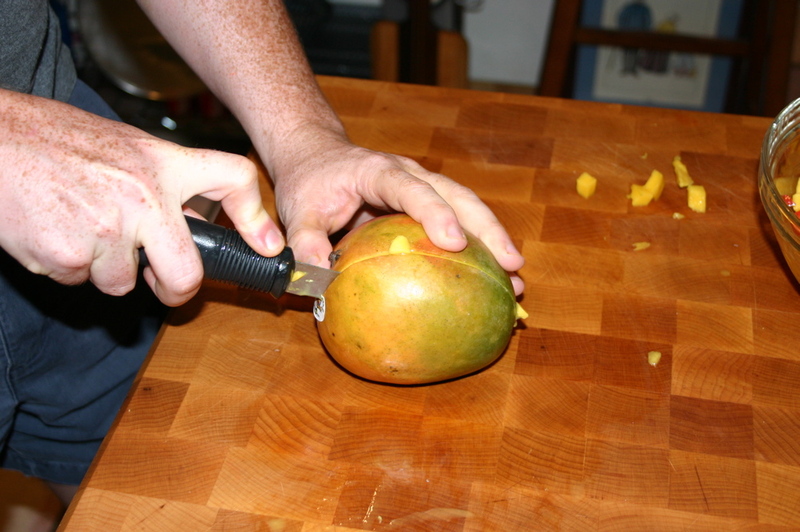 When you get back around to the stem, drop the knife to chop through it.